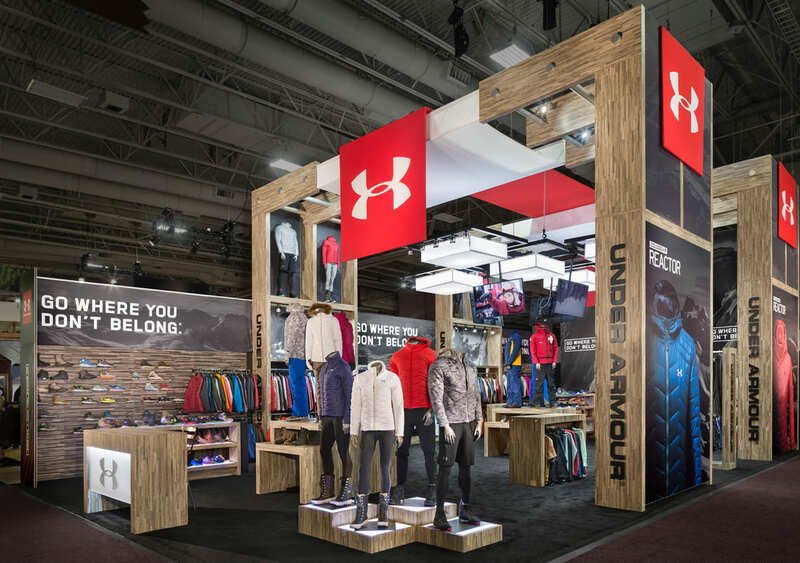 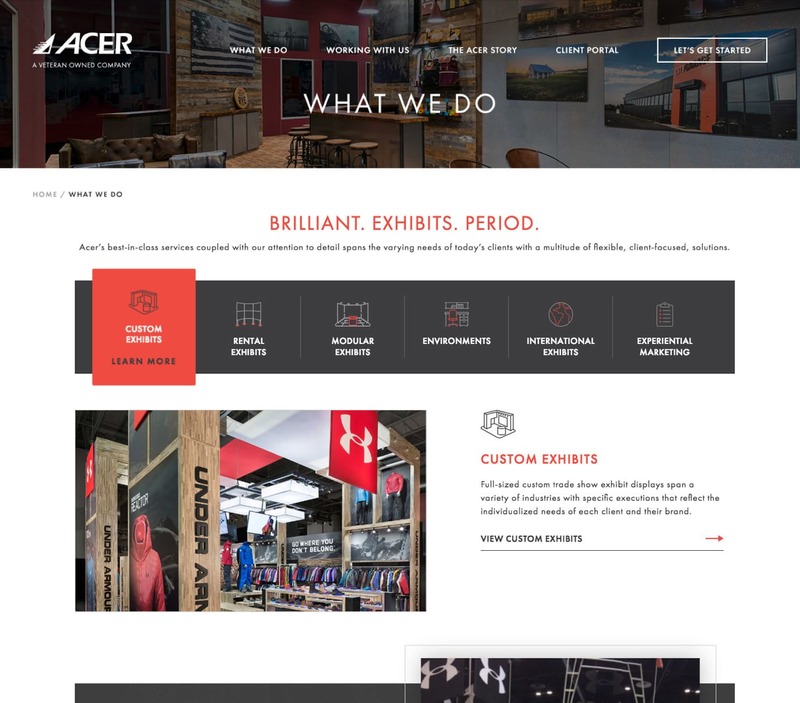 Acer Exhibits is a full-service, veteran owned custom exhibit house that creates extraordinary tradeshow displays. 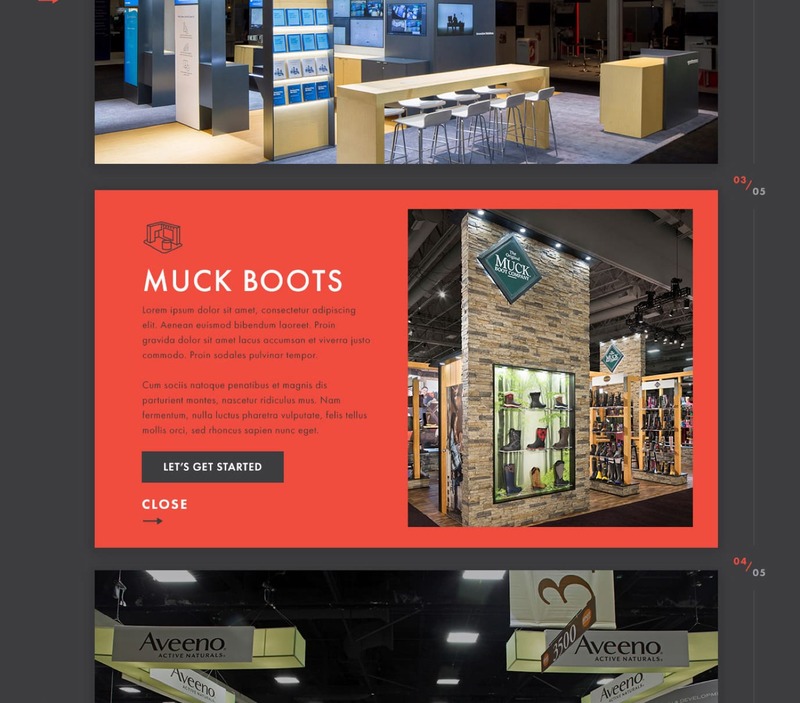 Faced with an outdated existing site, they needed a way to better represent their breadth of services, showcase their beautiful portfolio and generate leads online. 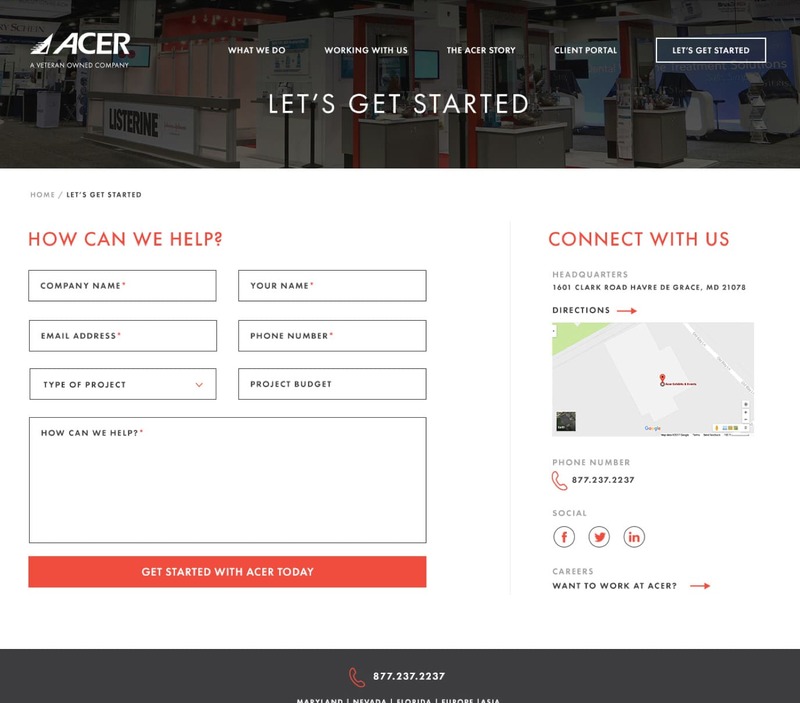 Acer Exhibits challenged Groove Commerce to design and build a new experience that could address these concerns. 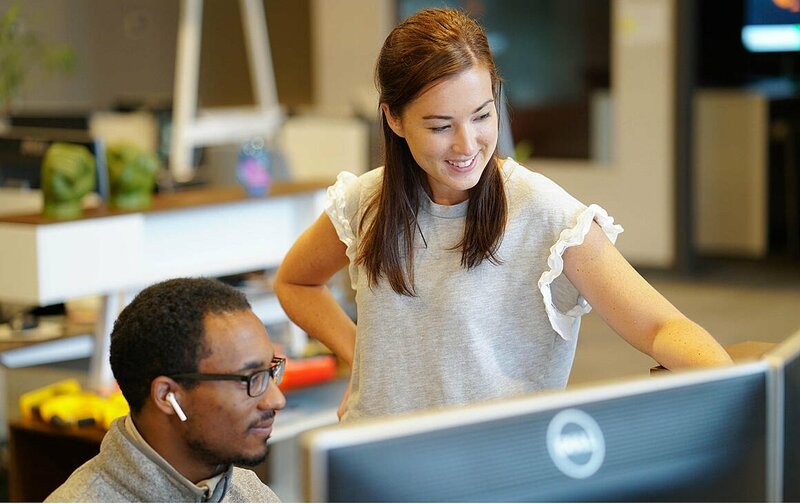 Following our in-depth discovery and research process, our design and development team got to work crafting a user experience and journey. 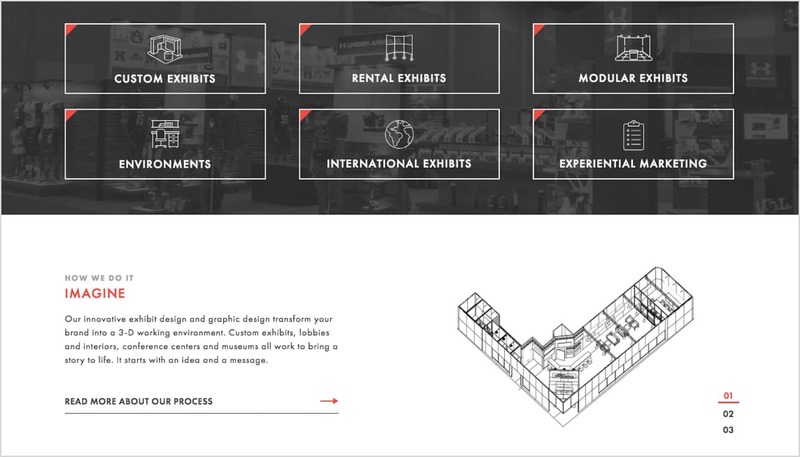 Using custom SVG animations and large imagery, we created an immersive experience that funneled visitors to contact the brand for more information. 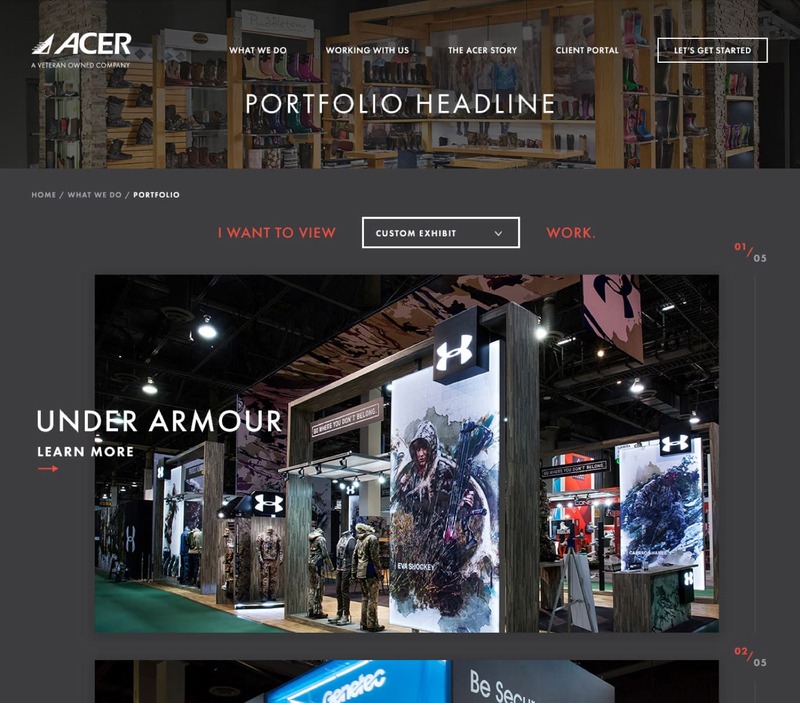 Overall, our work replatforming Acer Exhibits' website to HubSpot helped position the brand for future inbound marketing activities. 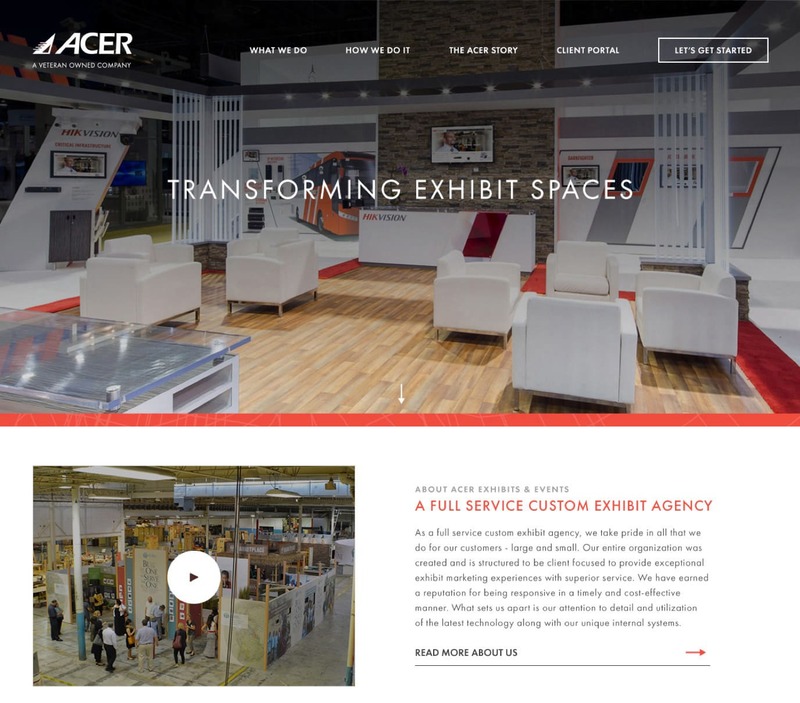 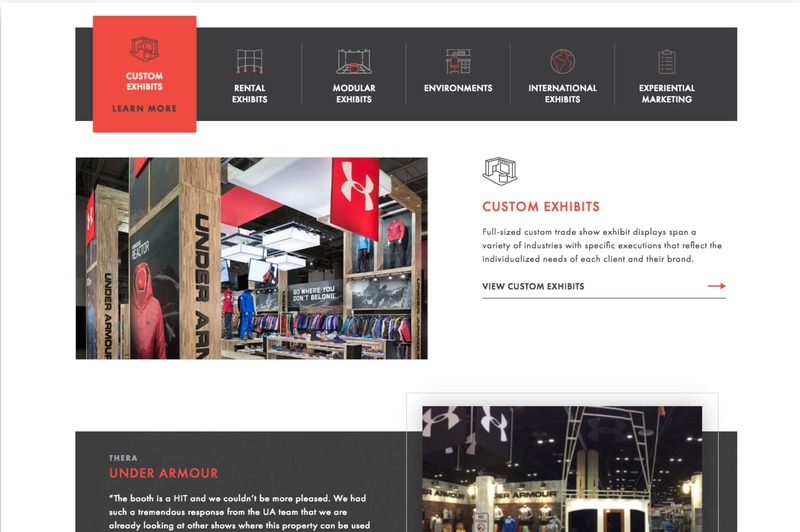 Additionally, our custom design and animation elements elevated the site's visual appeal and helped reflect Acer's committment to exceptional exhibit design.